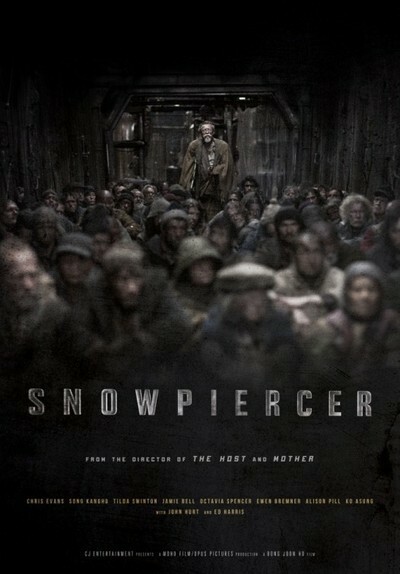 Snowpiercer – Did You See That One? When earth is frozen over after an experiment to end global warming goes wrong, only a few survive. 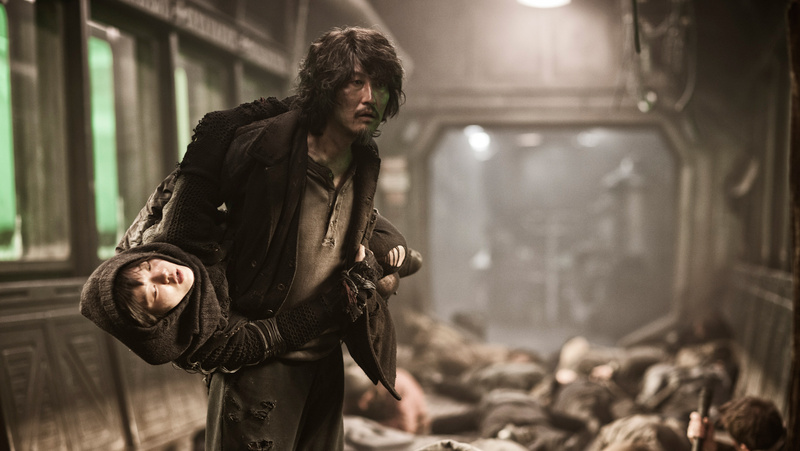 These survivors are aboard the Snowpiercer, a train that has developed a ruthless class system over years of traveling the earth. This science-fiction action film is based on the French graphic novel “Le Transperceneige” which was first published in 1982. That graphic novel was the work of Jacques Lob, Benjamin Legrand (Last Chance Saloon), and Jean-Marc Rochette (King Guillaume). The screenplay was developed by Joon-ho Bong (Mother) and Kelly Masterson (Before the Devil Knows You’re Dead). In addition to developing the story, Joon-ho Bong also directed this film. 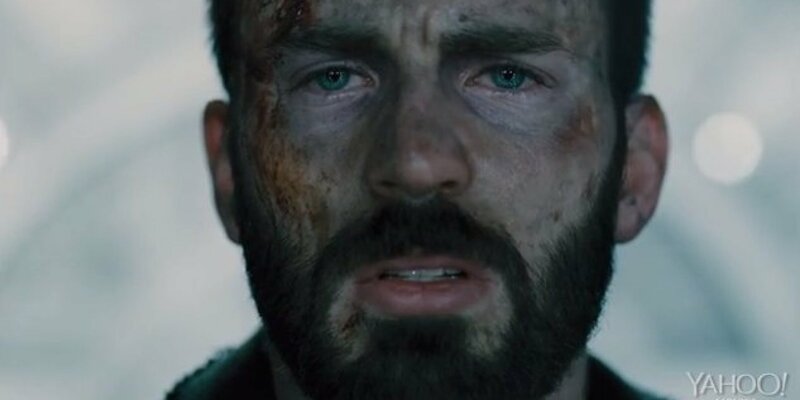 The cast for this film features a long list of talent starting with Chris Evans (Captain America: The Winter Soldier), Kang-ho Song (Memories of Murder), Ed Harris (The Hours), and John Hurt (The Proposition). Tilda Swinton (Moonrise Kingdom), Jamie Bell (Flags of Our Fathers), and Octavia Spencer (The Help) round out the bigger names of this excellent cast. This story is a unique twist on a post-apocalyptic earth. The premise allows for some great setups and a totally incredible setting. The writing manages to get a great deal of background into the story without long opening title sequences or flashback scenes. This background information leads right into a story that builds in momentum and pushes through at an excellent pace. The dialogue is nicely written to bring in the different cultures being portrayed throughout the story. The film also features some intense action and fight scenes that do some unique things. Overall, the writers did a good job of pulling the right elements from the graphic novels to make this film work. The end of the film does seem a bit weaker than I had hoped for. Otherwise it’s an exciting, emotional, and dramatic story that works nicely. The acting in this movie is pretty impressive, especially from such a large cast. As expected, Chris Evans does a great job with the action aspects of the role. More surprisingly, he excels at the emotional moments of the film. His ability to put together such a well-rounded performance really drives the movie. Kang-ho Song also does a great job in this one. His quirky performance adds a great layer to the overall story. He’s not the only one actor who put together a unique performance in this one. 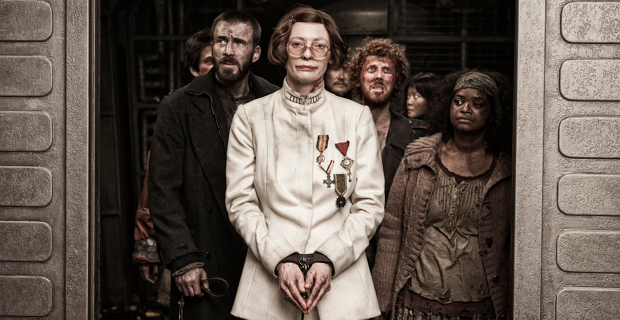 Tilda Swinton’s performance is strange and awesome all at the same time. She becomes a great antagonist thanks to her skill in becoming such a strange person for the film. John Hurt, Ed Harris, Jamie Bell, and Octavia Spencer are all great additions to this movie. Spencer has a very gritty role that puts her right in the middle of the action. She seemed to embrace it, bringing out all the emotion that the role called for. 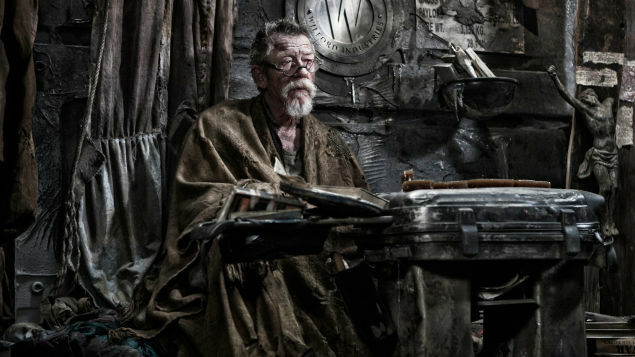 The same is true for Jamie Bell and John Hurt, both of whom seem to embrace the darker and dirtier aspects of their roles. Ed Harris manages to make his character stand out from the crowd in all the right ways. His performance is another shining part of this interesting film. The rest of the cast all do nice work as well. The action sequences are intense and the acting picks up on the pure rage and intense emotions of these moments. The visuals take this film from a unique story with good acting, and turn it into an immersive experience. 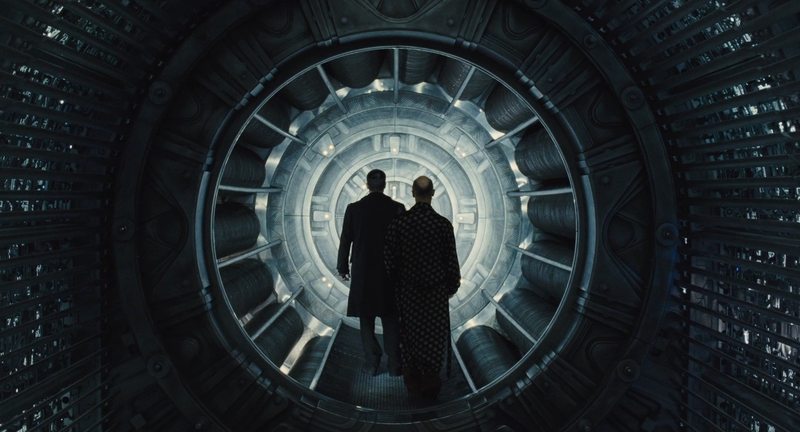 The set design, costuming, and visual effects make this a one-of-a-kind film. The action scenes could’ve easily turned into gory bloody messes, but instead the brutality takes on a deeper meaning. The visuals seem to acknowledge the honest emotion behind these moments. The visuals also have an essential role in defining the boundaries of the class structure that plays a major role in the story. 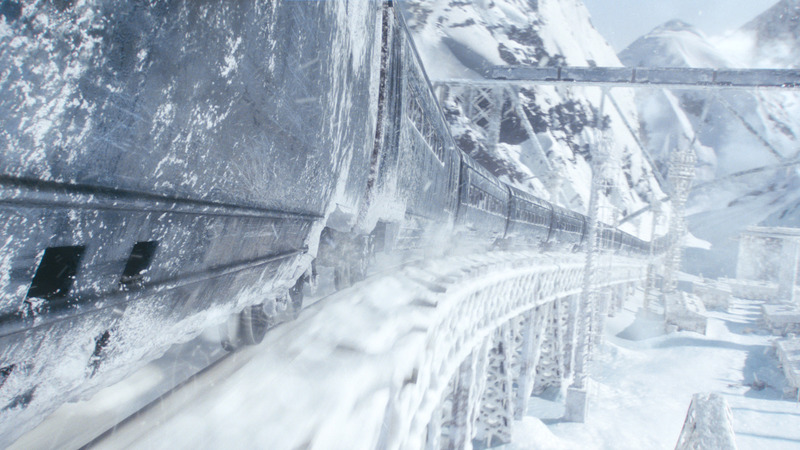 This film’s visuals turn this into much more than a regular science-fiction action film. Thanks to good cinematography and great digital effects, this one looks great. The other technical aspects of this film can’t be ignored either. The sound and music for the film add to the unique emotional tone of this one. Marco Beltrami (The Woman in Black) does an excellent job with the score of the film. The stunt work that allowed for such great action scenes is also a great aspect of this movie. This might be one of the most underrated films of 2013. Most of the viewers from the United States weren’t even given a chance to see this until the middle of 2014. The politics behind this film undercut the financial success this movie could’ve had. If you’re a fan of action or science-fiction, this is one you should see. I would also suggest this to anyone looking for something intense and unique. This is also a good recommendation for fans of the stars. I give this one 4.5 out of 5 stars. A movie that knows its weird, and constantly goes to the deepest levels to explore that weirdness and it totally works. Good review. Thanks again for checking out my review. It’s weird, but also incredibly smart. Without the underlying intelligence, I think I’d hate this movie. Pingback: A Quiet Place – Did You See That One?